Your luck is definitely in with this dazzling bracelet! 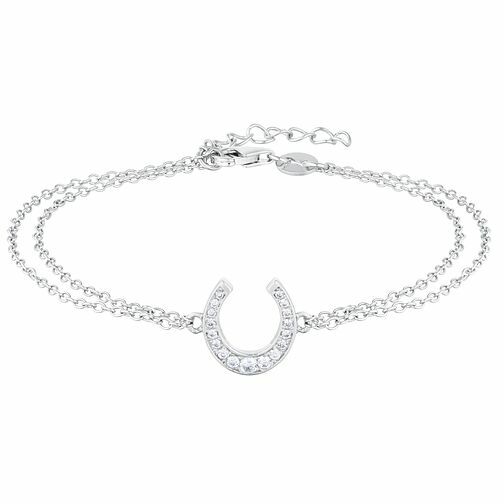 Featuring a lucky horseshoe, this charm is glistening with Cubic Zirconia set crystals for that extra sparkling feel. Placed upon a doubled-over silver chain, this bracelet is chic, stylish and perfectly suited for any occasion.